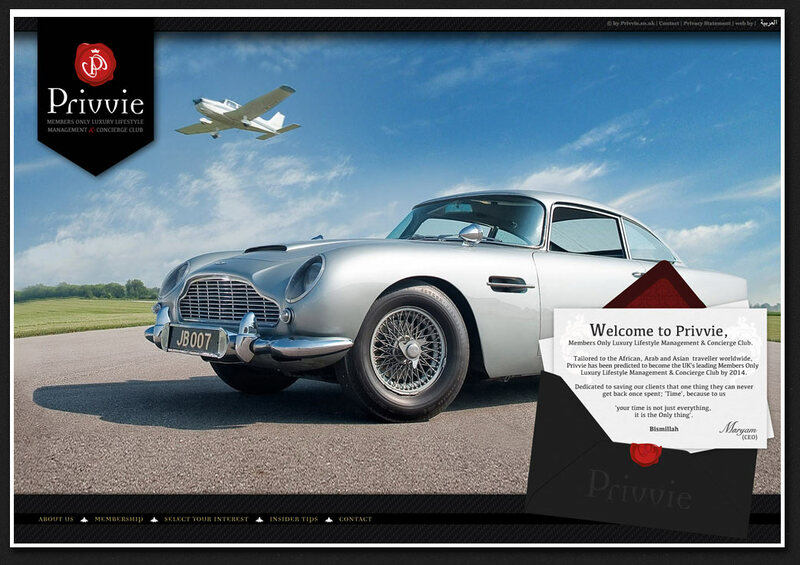 PRIVVIE is a members only, luxury lifestyle management & concierge club based in London. 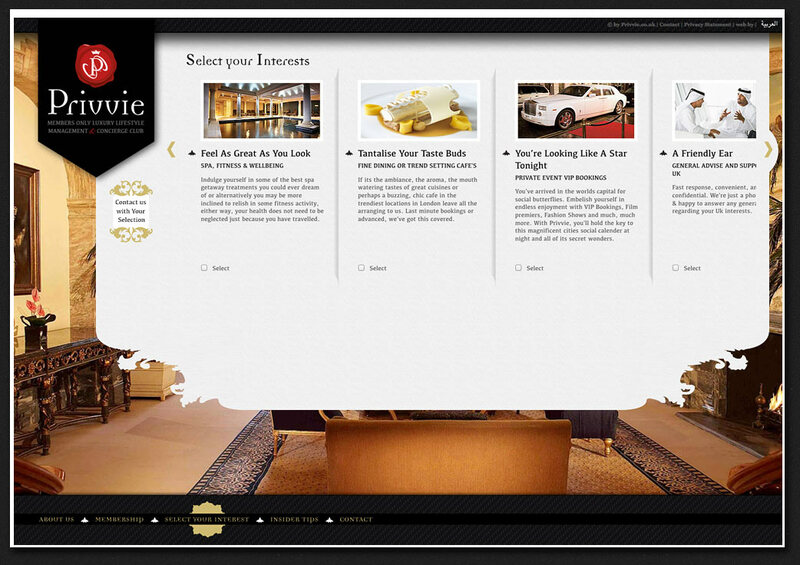 We created the whole branding based on high end luxury, indulgence and exclusivity. 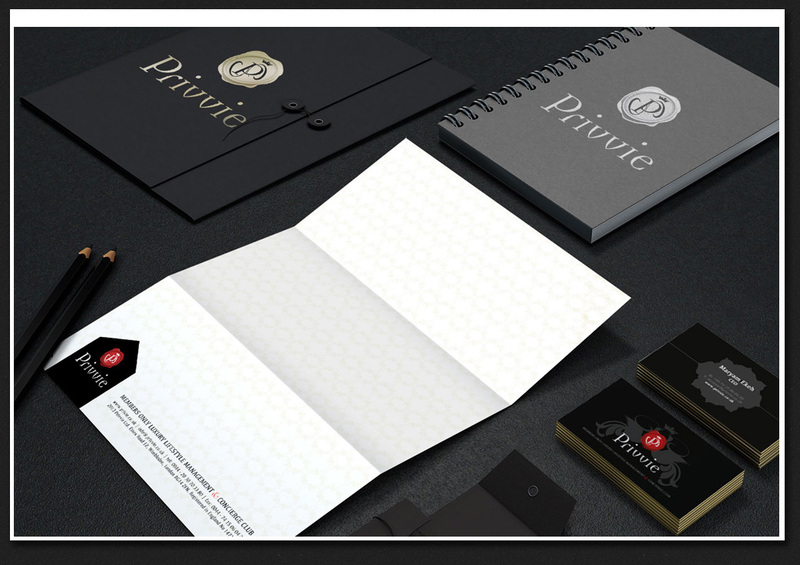 From the paper we chose for the stationary, the silk wrapper your membership card will arrive wrapped up in, or the real wax seal we created to close all correspondence envelopes with members, all elements – physical and digital – were chosen very carefully to reflect PRIVVIE´s exclusive philosophy. The Naming of the service derives from “private”, so we tried to reflect that in the logo. 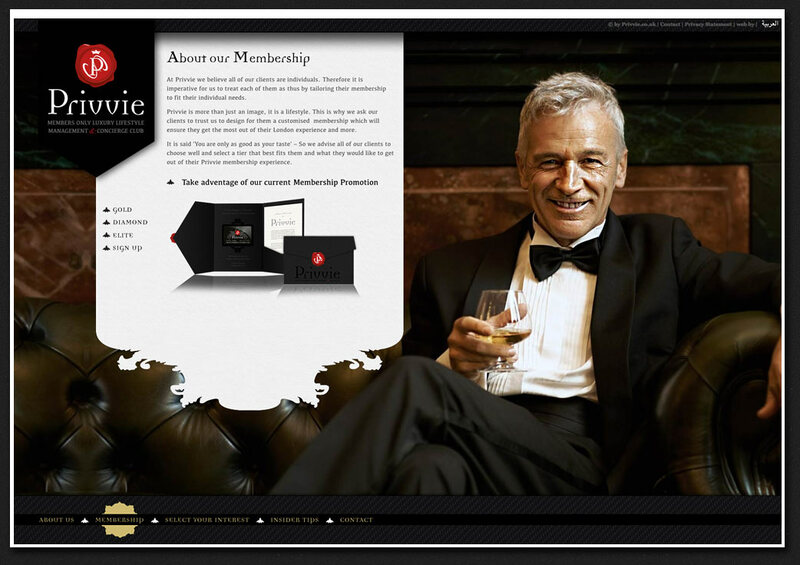 What is more private & exclusive than insinuating royal correspondence with an actual wax logo? The logo used for all digital touchpoints is a graphical abstraction of the real wax stamp. 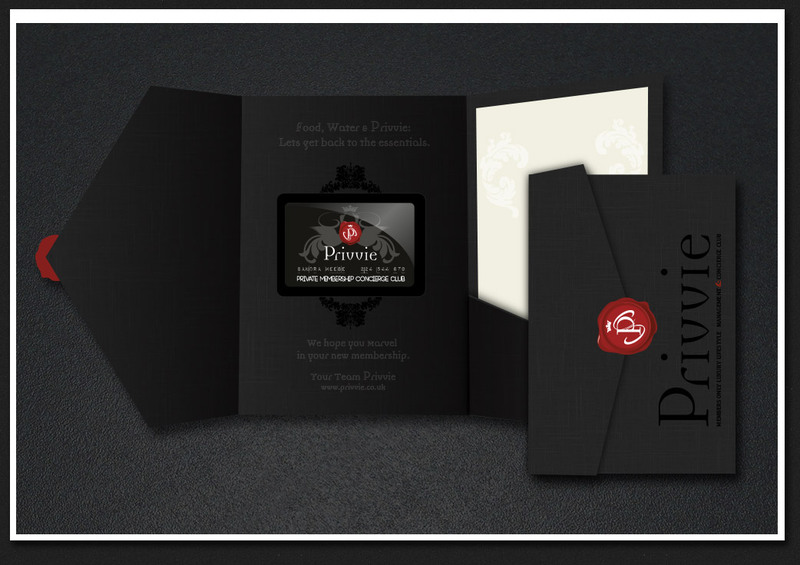 The colors Antrazit, matt gold and a dark red are the dominant colors we chose for PRIVVIES Branding. We recreated the feeling of “texture” within the digital elements , and chose calm understated images of comfort and luxury as backdrops for the website. 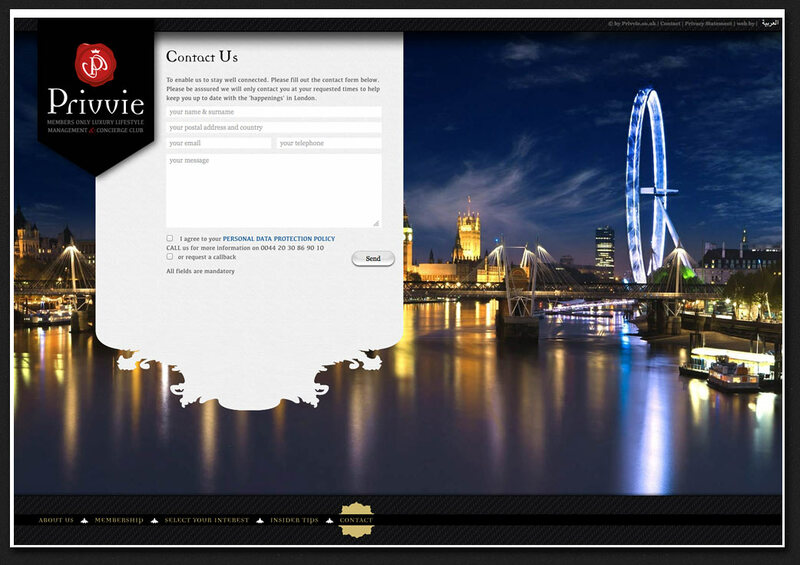 Since its service is specifically tailored to the African, Arab & Asian market, we tied in a few subtle elements to make that visually noticable.